IMAN’s Youth & Arts Wellness Center is the most recent extension to its center, and it’s the planned location for an exciting range of new programming and services for the community. The partially rehabilitated building and accompanying parking lot is located directly across the street from IMAN’s current health and community center. In addition to several important community dinners and events held there, the building has already launched a series of youth arts and social justice forums entitled Fresh Expressions, which will be held on the last Thursday of every month. The first Fresh Expressions was held on Thursday, March 30. This month, a host of other youth programs will be launched or conducted out of the Youth & Arts Wellness Center. Speaking at a recent event held at the new center, IMAN’s Executive Director, Rami Nashashibi, said that “this building was secured through resources donated by a generous and pious man and we pray that by opening it to the public, it will become the seed of a much larger vision for community development that IMAN will publicly unveil later in the year.” Stay tuned for exciting new programming being held around this space. Meanwhile, if you’re in Chicago, save the date for the khutbah by Usama Canon on Friday, April 19, and for the post-khutbah activities centered that day on a Fresh Produce Stand. 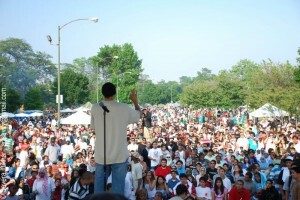 This Takin’ It to the Streets on Saturday, June 15 will open up with a Summer Peace Rally led by the Chicago Peace Movement (convened by the Lupe Fiasco Foundation) and the United Congress of Community and Religious Organizations (UCCRO). This Rally will feature activists, religious leaders, artists, and other organizational allies and partners from across Chicago and the country. All those expected to be in attendance have been galvanizing and agitating around community-driven and community-centered solutions to the structural problems that lead to the violence afflicting urban centers like Chicago. 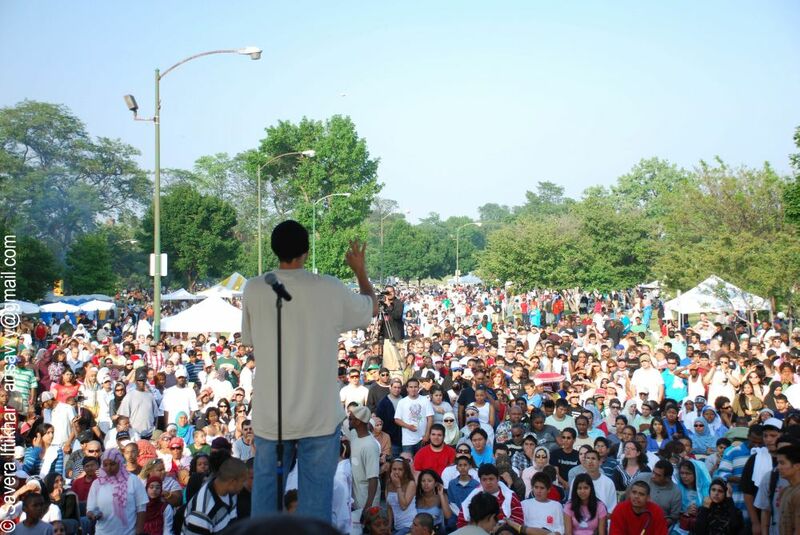 The Peace Rally will feature comments and special appearances from prominent hip-hop artists and activists. 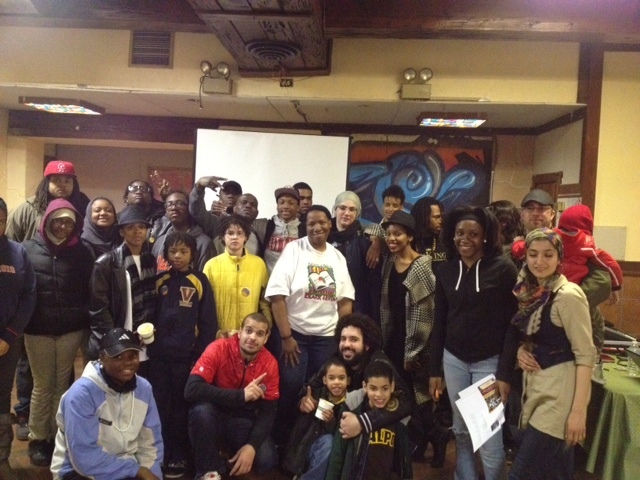 Fresh Expressions, Digital Media Masters, Pillars of IMAN, After School Lab and Tutoring, Friday Night Movies with CeaseFire, and of course Takin’ It to the Streets. These are some of the youth programs we have planned for this year. Since IMAN’s inception, youth mentorship and leadership development has always been at the core of our work. From organizing around key issues like food justice, youth employment and public safety to skill building programs, spiritual nourishment and rites of passage, and creative arts, IMAN believes in creating safe, empowering, spiritually nurturing, and fun spaces to help grow and develop young people into community leaders. We want to help empower youth enabling them to foster relationships outside of both school and home, and learn skills that will help them impact social justice issues that affect young people across Chicago and the nation. Now is the time to connect with IMAN by being part of our youth programs. View the IMAN Youth Programming brochure for details on all these programs. There is still time and space for you to become a mentor: Join to become a part of growing IMAN’s Youth Programming. For information on that and other other programming, contact Youth Director/Organizer Shamar Hemphill at shamar@imancentral.org.